Our Bears are having parties. Yes, yes -again! Teddy: “Take heart, bro. We’re going to joke about penguins again. 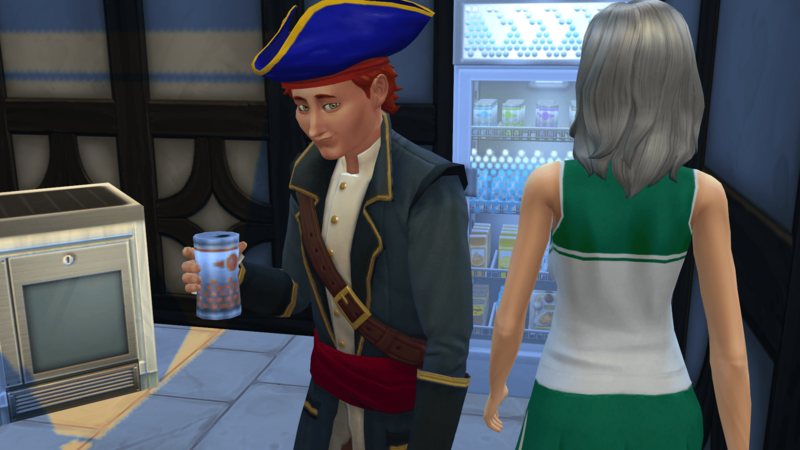 Well, to complete Party Animal aspiration for one sim, you need (at the very minimum!) twenty three parties. It’s only on condition that everything goes perfect. But it’s not always perfect. Hey, guys! “Spooky” doesnt mean “ugly”! Anna! Are you going to dig the garden?! Off to CAS! Brother Foxes are going by the café. Ginger Fox. Look at him! The well must have helped him with the promotion! Ah those Foxes! In a word, – mafia! He’s extremely serious. He even puts on a hat when going to swim. Mr Cvetkov inspects café “Sweet Doves”. I like ninja Junior so much! 😀 I would make him my avatar, but my cat Chelsea won’t approve I’m afraid. The party is going fine. Though it can’t go without some Star Wars. The costume of a pirate suits Ginger Fox well. Jolly Roger and his witch. And a parrot on the shoulder for greater show. The party was drawing to a close, when Goldilocks got a message from her daughter Lilly, who was standing side by side. Lilly invited her mother to Goldilocks’s own house. No sooner has Ann come home, than she goes to troll teh forums. What can I do? She’s a witch! And filibuster Fred is searching Treasure Island. I lost sight of Anna and didn’t see the moment she achieved her aspiration. I failed to take a photo. But then Freddy and Junior supplied me with colourful pictures. Posted on May 21, 2016 by chealsycatPosted in Goldilocks and Bears (Sim fairy tale)Tagged #Goldilocks and Bears, #Sims 4, bears, Goldilocks, Sims.